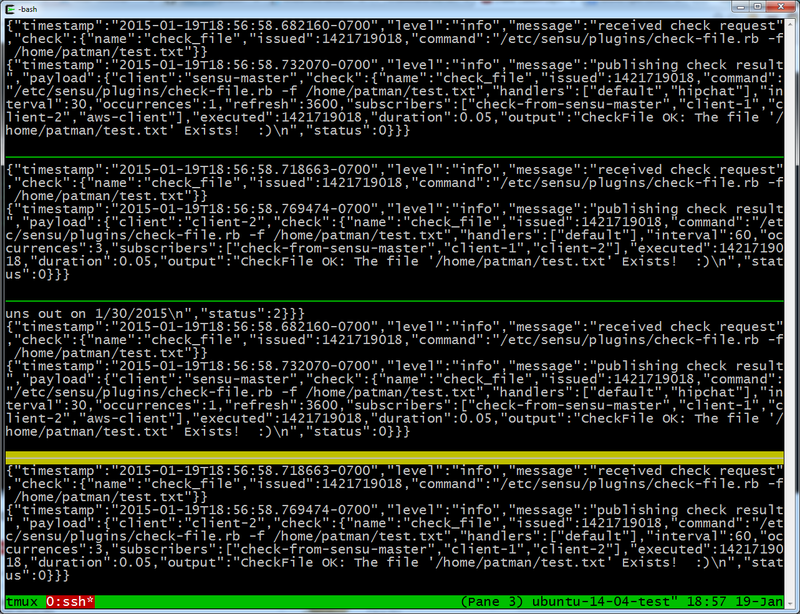 Now that I have the basics of tmux figured out and have put together a nice ~/.tmux.conf configuration file I want to move onto tmux scripting. Here is my need. 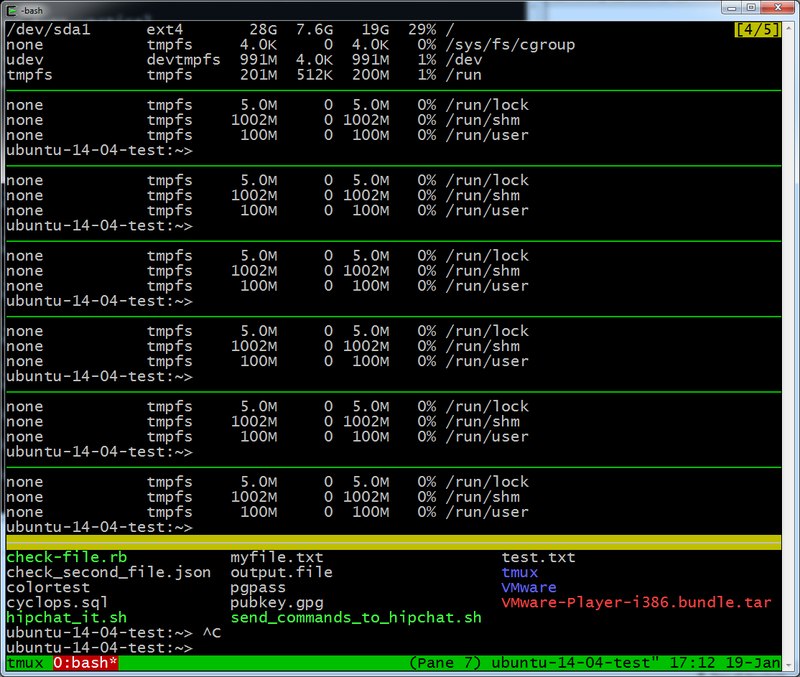 I need tmux to open up create 8 panes and have each pane issue a command to tail a log, via ssh, to 8 different servers. 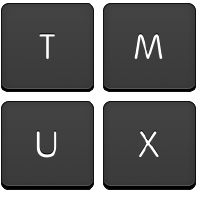 If you don't have tmux installed I wrote up a guide at http://www.whiteboardcoder.com/2014/12/installing-tmux.html that shows how to install it on Ubuntu (10.04, 12.04, and 14.04), OSX via brew, and even cygwin. 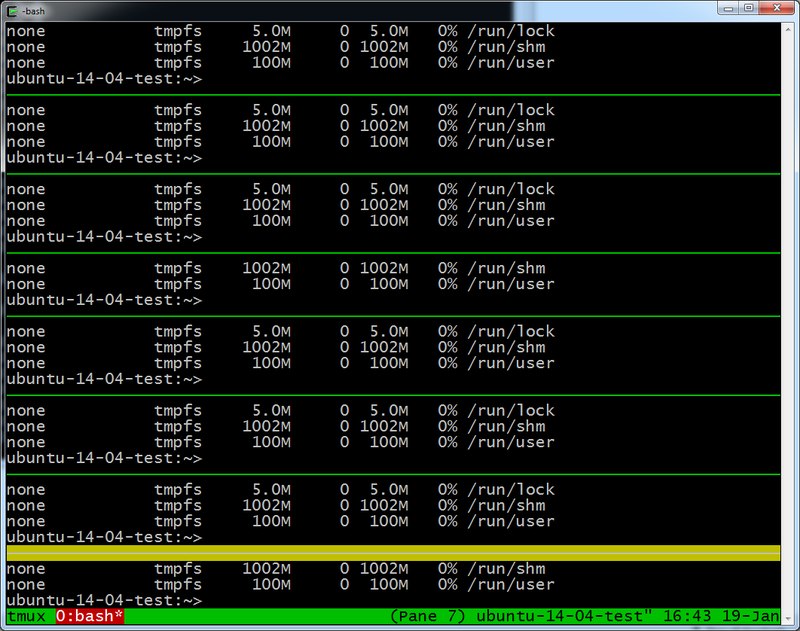 I can create a session, in a detached state, named tail_log by running this command. 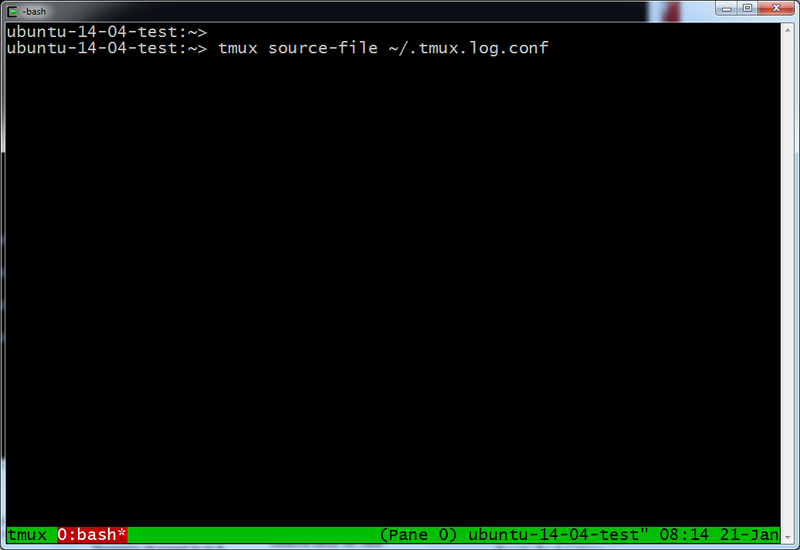 I can send this "named" session a command by using tmux send-keys. 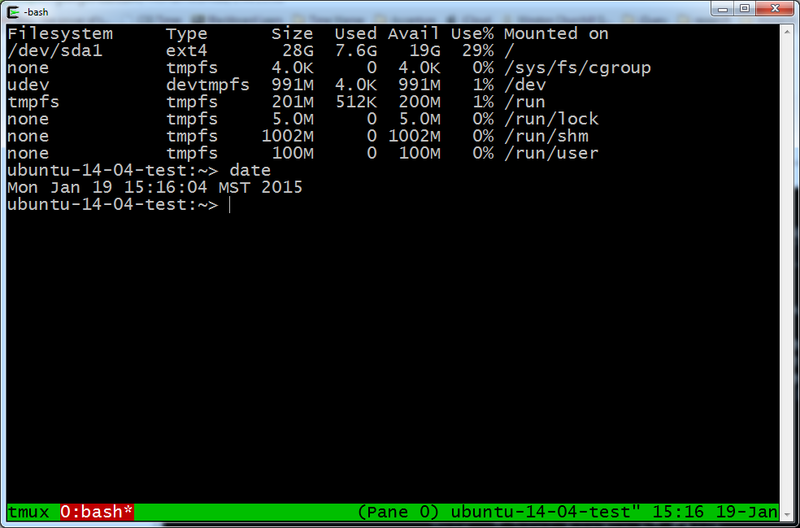 The C-m acts like a carriage return. 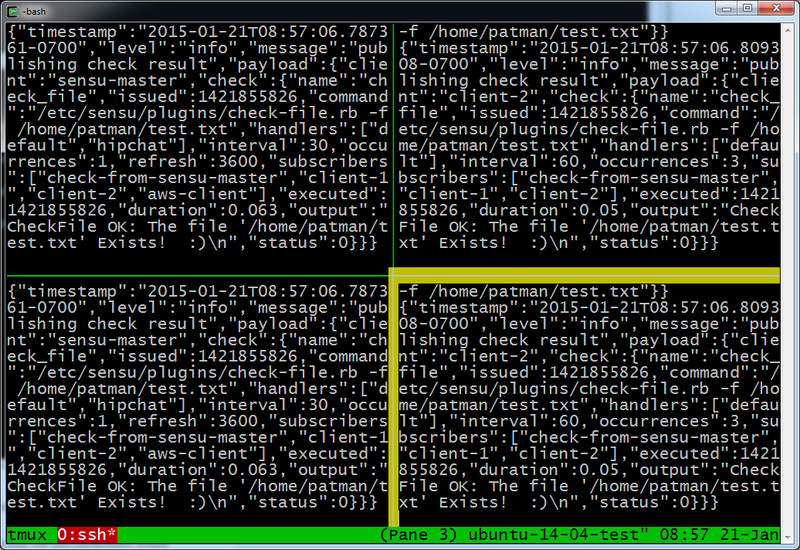 I can see that the date command was run. 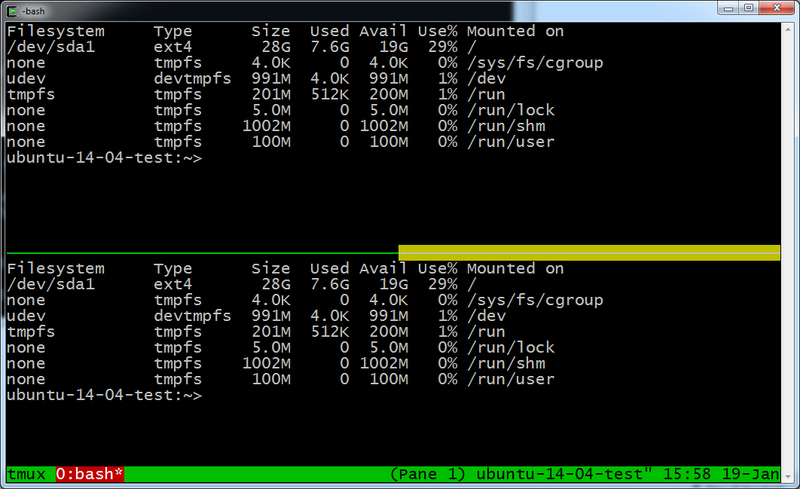 Can you run more than one command? 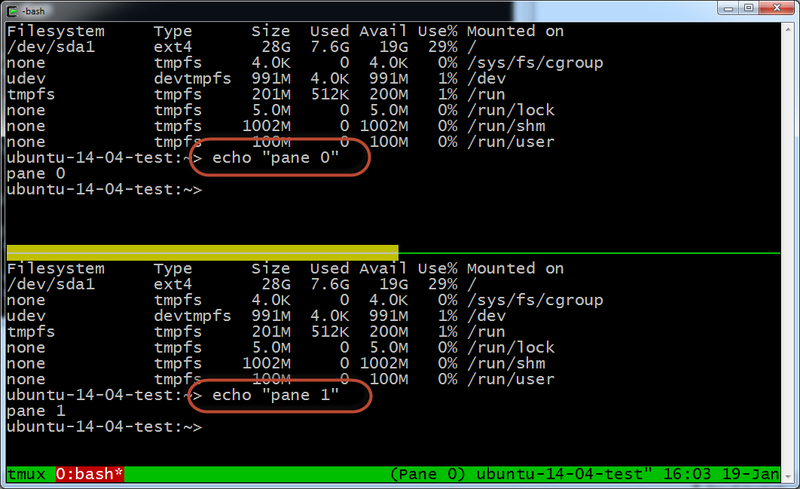 How do I specify which pane to send the command to using the send-keys command? 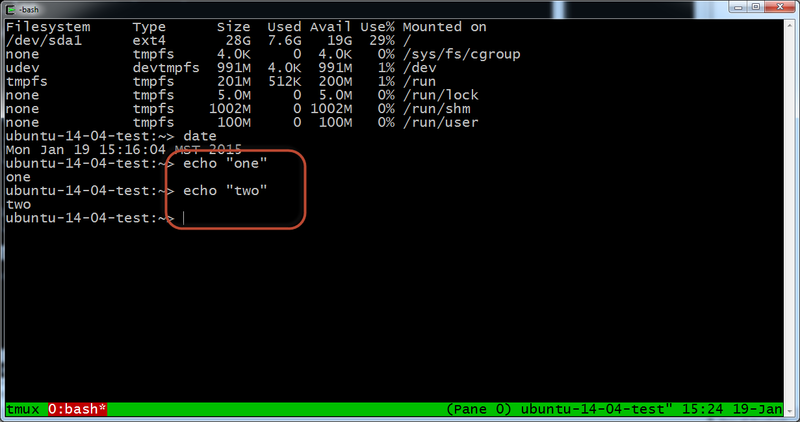 If I want to send a command to the first window, window 0, and the first pane, pane 0, I can execute the following command. Each split is splitting the next split to it keeps getting ½'d in size. The screen is split but the panes are out of order. The ordering from top to bottom is 0, 4, 2, 5, 1, 6, 3, 7. This ordering is not good. I found the answer: using the select-layout tool. 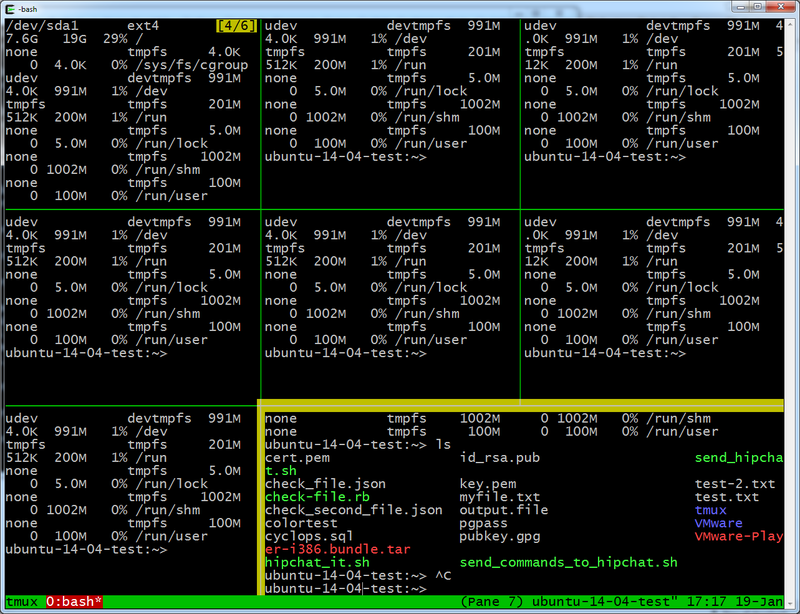 Here is the set of commands to run to split it evenly into 8 sections. And they are in the correct order! 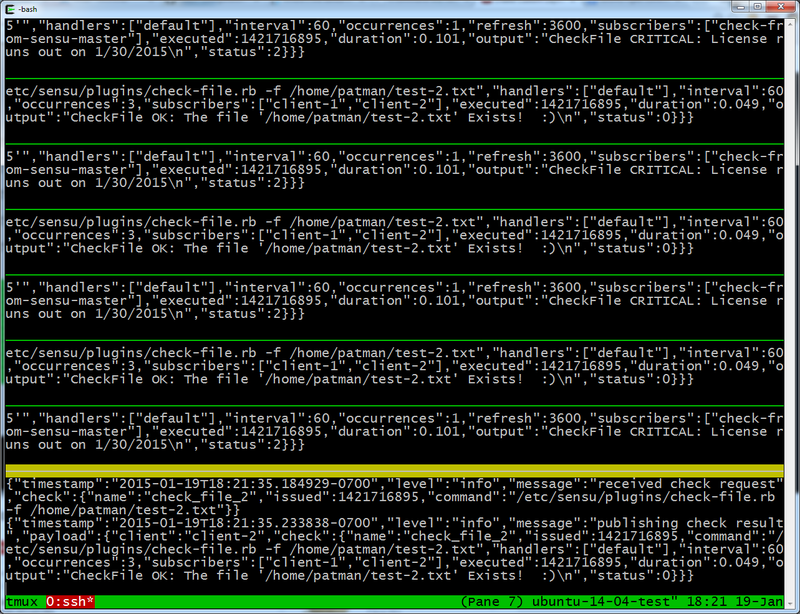 Trying to tail 8 log files this way does not really work well, 8 is just too much. I am going to reduce it to 4 and try that out. Four rolling logs seems more manageable. 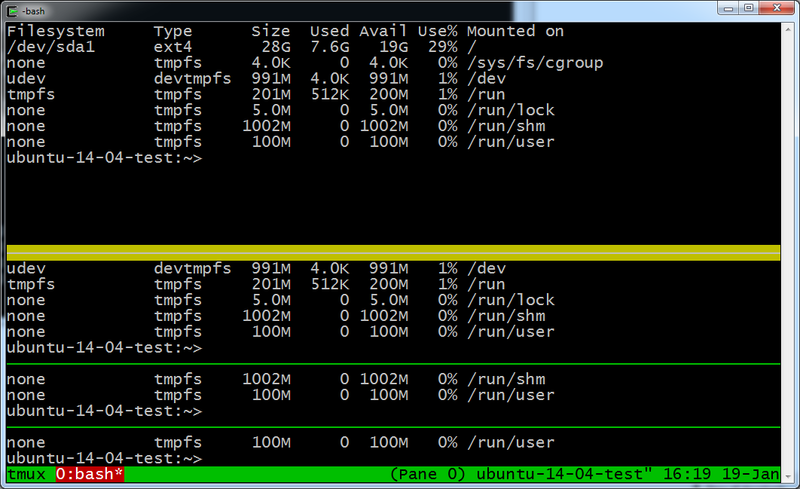 There is another option, you can add commands to the .tmux.conf file. To run use this press Ctrl+a then alt+l . This will create a new window with four panes, evenly space them and tail 4 logs. 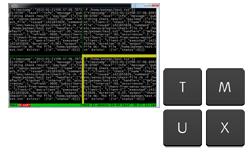 To kill this window press Ctrl+a then alt+k to kill the tail_logs window. 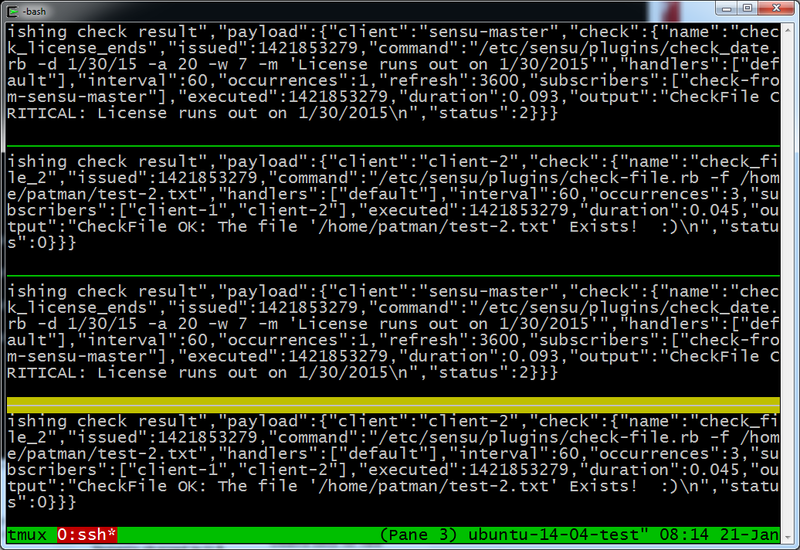 You can load custom configuration files from within tmux! The screen is split into four panes and each pane is now tailing a log! 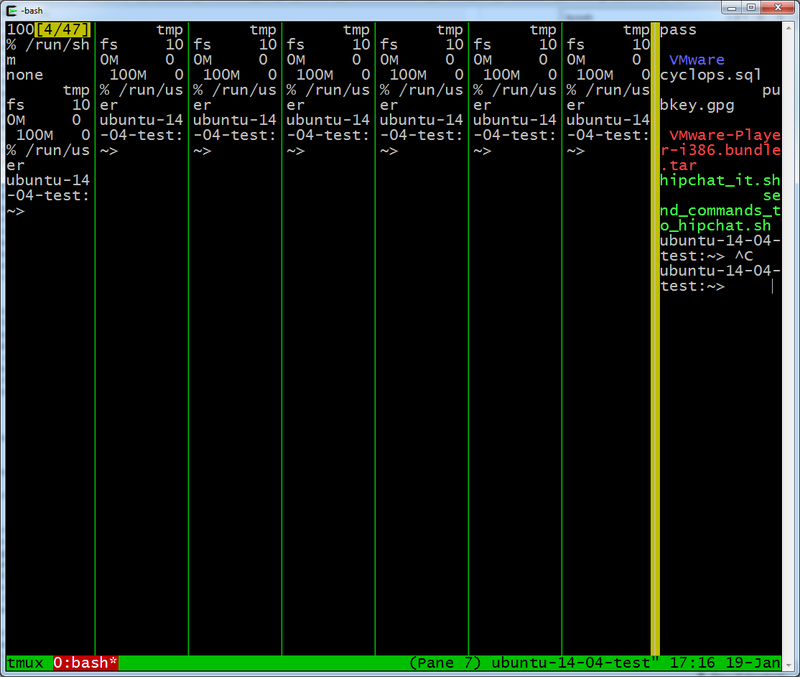 Each pane is sent Ctrl+c to cancel the tail command, then the tmux window itself is killed.